Join the Cortal SQR Facebook Promo! ang get a chance to Watch Team Azkals LIVE IN ACTION!!! - Hello! Welcome to my blog! Join the Cortal SQR Facebook Promo! ang get a chance to Watch Team Azkals LIVE IN ACTION!!! The new Cortal SQR, the official pain reliever of Team Azkals, gives you the chance to win tickets to the much anticipated match between Sri Lanka and our very own Philippine National Football Team. It all happens on July 03, 2011 at the Rizal Memorial Stadium in Manila , Philippines . 5. Five winners will be chosen based on their entries’ creativity and popularity (Facebook likes). 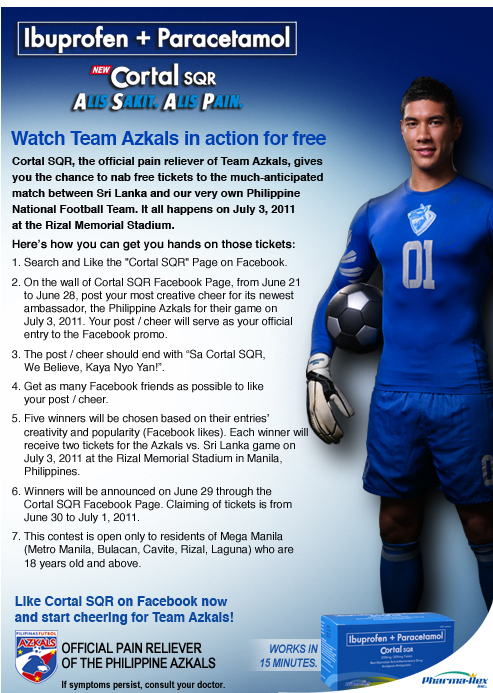 Each winner will receive two tickets for the Azkals vs. Sri Lanka game on July 3, 2011 at the Rizal Memorial Stadium in Manila , Philippines . 7. This contest is open only to residents of Mega Manila (Metro Manila, Bulacan, Cavite , Rizal, Laguna) who are 18 years old and above. 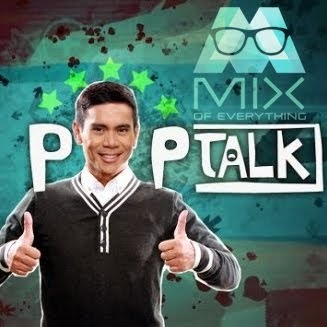 This is you ambassador for Cortal SQR and Azkals MIX signing out!